See that dip the string takes as it exits the nut? 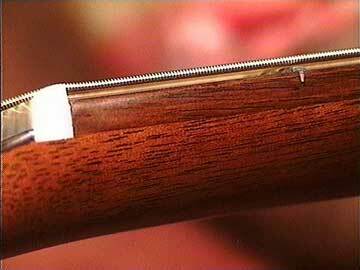 This low E string is tuned to pitch, and the deflection is just enough to make the string rattle against the first fret. It's not a common problem, but it can happen. A new string will clear up the buzz right away, of course.